They are part of New York's skyline and millions of people unknowingly depend on them: behold, the venerable rooftop water tank, made of plain old wood. 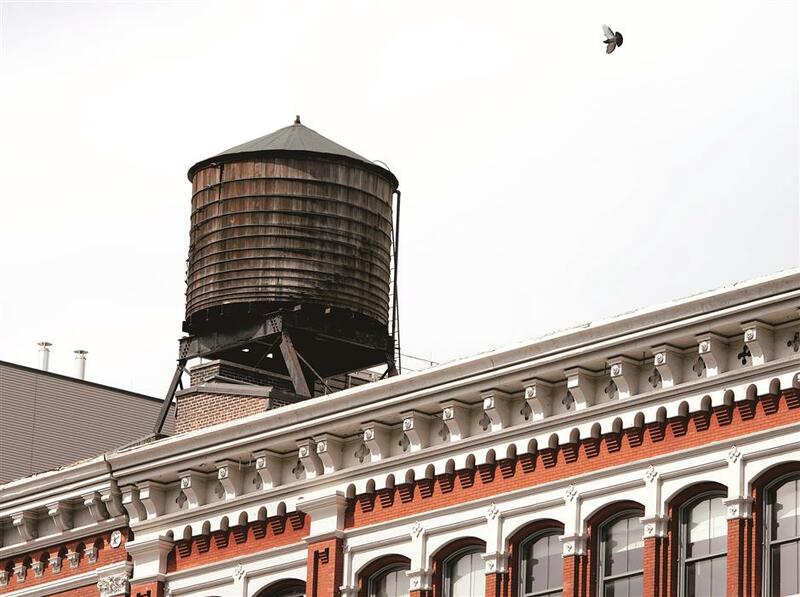 They are part of New York’s skyline and millions of people unknowingly depend on them: behold, the venerable rooftop water tank, made of plain old wood. And forget about technology and innovation and all that. The tanks are more popular than ever in this city of skyscrapers. Here, any building higher than six stories must be fitted to pump water to the roof for the higher floors, where it is stored in a tank. That’s because the pressure in the city water system is too weak to get it up there. Gravity takes over for it to flow back downward. They’re part of New York’s skyline and millions of people unknowingly depend on them. The venerable rooftop water tank, made of plain old wood, is more popular then ever in this city of skyscrapers. On this spring day, a tank-building foreman named Terrance Stokes and his crew are at work at a posh building on Lexington Avenue on Manhattan’s Upper East Side. In seven hours, they will take down one 4-meter-high tank and replace it with a new one. Their employer is Isseks Brothers, one of three companies that share the rooftop water tank market in the most populous American city. In total, there are around 10,000 tanks. The tools they use have evolved a bit, but for the most part, a water tank is set up today the same way it was in 1890, when the Isseks brothers, immigrants from Poland, founded their company. “That’s the beautiful thing. It’s so simplistic,” said David Hochhauser, a co-owner of the firm. 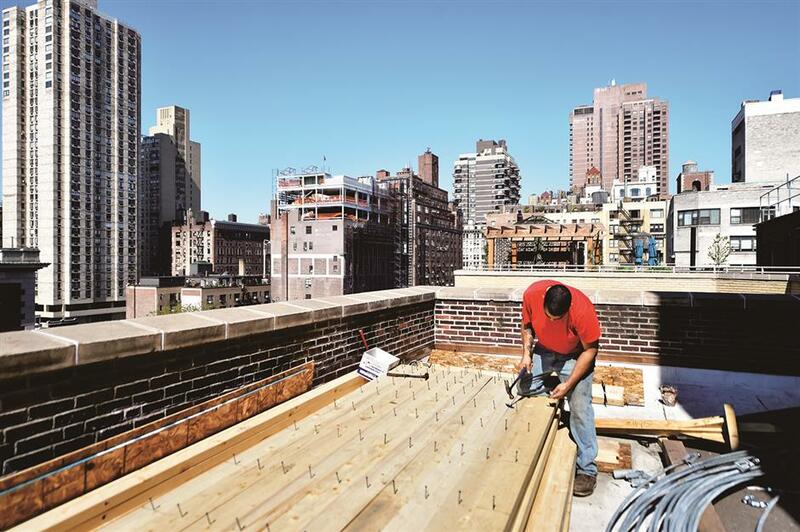 Wooden water tanks — which also serve as protection against fire — have lots of advantages over tanks made from other materials, even atop a 400-meter-tall building. The cost is reasonable — between US$35,000 and US$100,000 — as compared to a tank made of fiberglass or steel — double or triple that much. They are also quicker to install — just one day as opposed to at least a week for the other kinds. Up on the rooftops, Stokes is following in the footsteps of his father, who retired three years ago, and overseeing the work of a crew whose very specific skill is the company’s main asset. “It’s a very dangerous job. At all times, you have to be aware of what you’re doing,” said Stokes, a native of St Vincent and the Grenadines in the Caribbean. This particular building on Lexington Avenue is just nine stories high. But Isseks Brothers has also installed tanks atop the old World Trade Center and the new one known as the Freedom Tower, which soars 540 meters, as well as many other Big Apple skyscrapers. The team works pretty much nonstop and by 3pm, water is flowing into the tank. It leaks a bit but that’s expected — it will take the Alaskan cedar used to build the tank two or three days to swell and become water-tight. The tank lasts around 25 years. A worker with Isseks Brothers install a water tank on a Manhattan building. Isseks Brothers’ supplier is the Hall-Woolford Wood Tank Company in Philadelphia, which provides it with the carefully cut boards that make up a water tank. The 160-year-old supplier’s workshop employs just seven people, and some of the machines are older than the people operating them. Nothing is automated. Everything is guided by the human eye. “As far as getting it right, there is no book that can teach you that. It’s from generation to generation, from one worker to the other,” said manager Jack Hillman. As with the Hochhausers and the Stokes, Hall-Woolford is a family affair. Hillman’s son works at the company, as does 71-year-old Robert Riepen, whose father and grandfather did so before him. “It’s in my blood. Hands on. Family-oriented. I love the business,” said Riepen, who has been at it since age 13 and left only to join the Marines and serve as a helicopter mechanic in the Vietnam war. “The people that work for us are very special and there’s no way that they’re being replaced by robots or mechanized machines,” said Hochhauser. Business is good, says Hillman, although he is cautious. He recalls how rooftop water tanks fell into disuse in Philadelphia, where as recently as the 1970s, they were all over the place. “The wood tank people didn’t push as much as the New York people did. And so the pump industry took over,” said Hillman. Now, Philadelphia moves its water with pipes and electricity. Hillman says he is confident that wood tanks have a future, as wood is in fashion these days. “Some people don’t care about the cost. They want a wood tank. They want a natural look,” he said. In fact, boards from old tanks are resold to make furniture or floor covering.